It is a well-known fact that the human brain needs sugar in order to work properly. 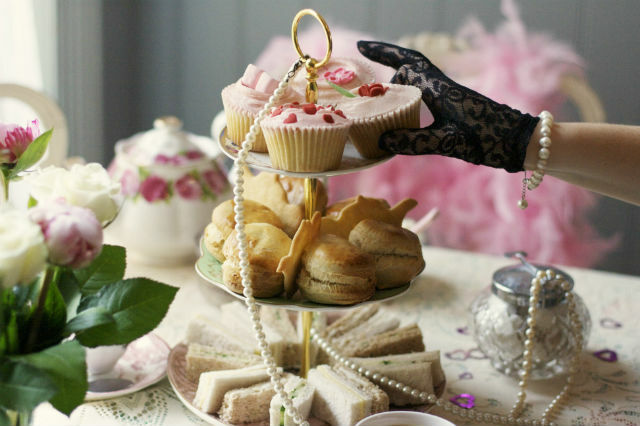 In addition to that, there is no circumstance which can’t be improved by a tasty slice of cake or crunchy loaf of bread. So, if you need to energise your brain cells or crown a moment with some fine pastry, here is a selection of the best bakeries in London. Maison Bertaux is a slice of France, or better, of French patisserie in the heart of Soho and claims to be the oldest bakery in London. Whether this is true or not, it is an institution for those of us who have a sweet tooth and definitely worth a visit. St. John Bakery has done so well that the business has expanded from bread to wine. Besides the original shop in Maltby Street, you can find other St. John’s branches such as the bar and restaurant, and bread and wine, spread across the city. However, the bakery’s best treat continues to be the seasonal jam-filled doughnut. 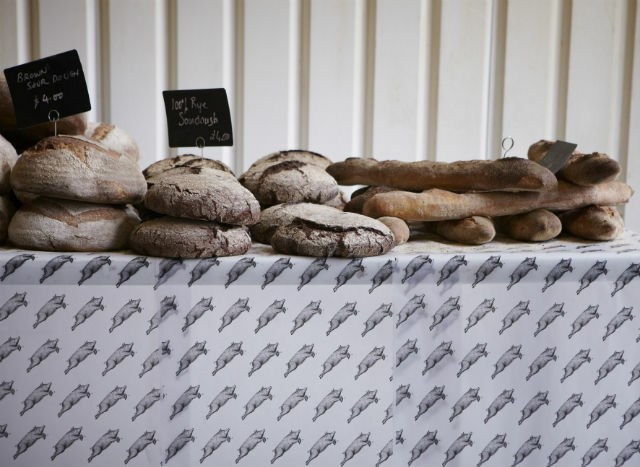 Bread Ahead’s stall at the Borough Market soon became famous, especially thanks to their delicious doughnuts. However, this is not the only thing this bakery has to offer. 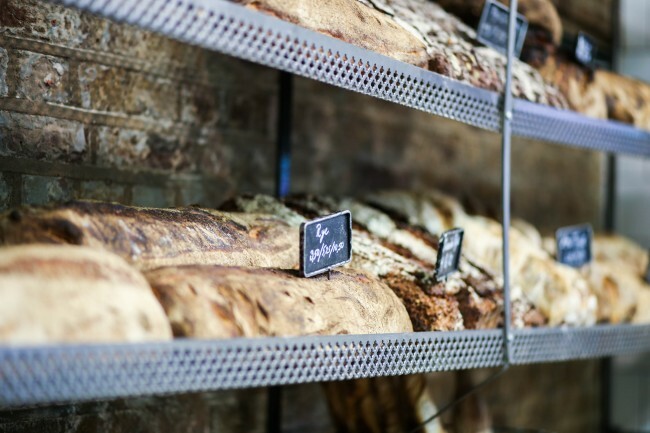 You’ll also find a wide range of naturally-fermented sourdough bread and a variety of loaves. Moreover, if you are keen to experiment and want to try making your own products, the bakery even organises doughnut, pizza and gluten-free bakery workshops at their headquarters in South London. The facade of Bake-a-boo is painted a shocking pink and perfectly matches the colourful cupcakes cluttering the tables inside the tearoom. The choice is vast and suits every diet: gluten-, egg-, dairy- wheat- and even sugar-free creations are ready to be tasted. This is the best place to enjoy good pastries without breaking your regime. According to American tradition, the best cakes are covered in buttercream icing. 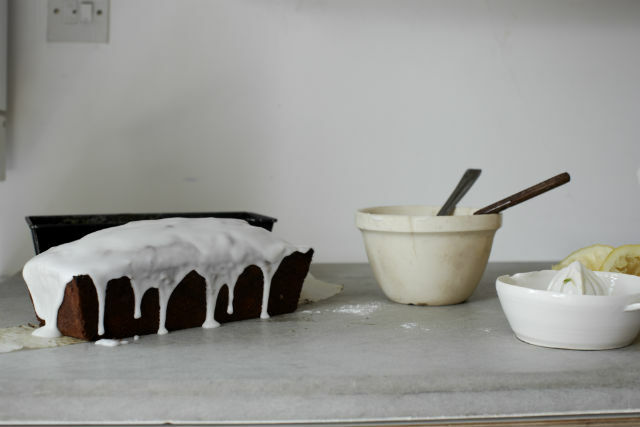 Californian owner Claire Ptak uses only seasonal fruits to make her cakes, which are utterly delicious. The bakery’s large offering also includes brownies, banana bread, cookies, cupcakes and cinnamon rolls. Tasting is believing when it comes to Violet Cakes. Dreams come true just by looking at the shop window of Ottolenghi, who present an astonishing selection of sweets and pastries from European recipes, with a tendency towards Mediterranean delicatessen. Particular attention is dedicated to the choice of products and their combination of flavours. The Ottolenghi confectioners have, in fact, a special consideration for tradition, as much as they are keen to experiment. Born in 1982 among the walls of a former post office this bakery went organic before all the organic fad even started. The bakery is run by a German psychotherapist whose aim seems to be to provide the community with handcrafted, flavourful loaves. The selection of organic sourdough breads is impressive; simple rye, rye with sunflower seeds, caraway, sesame and much more. This is a destination for true bread lovers. Parisian-looking Balthazar Boulangerie finds its home in pretty Covent Garden. Not only the environment is refined, but also the taste of the well-crafted products. 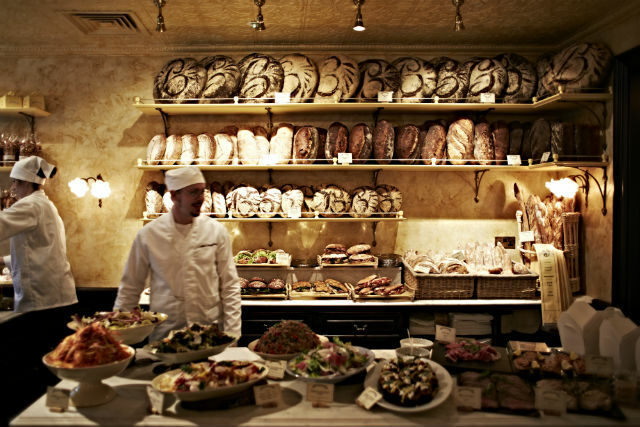 There is an array of bread shelved on the golden-tiled walls to admire and of course, to taste. Bread, brownies, tarts, cakes, take your pick. The options are countless in this East London bakery. Framed by the arch of London Fields rail station, E5 Bakehouse is a gem in this vibrant neighbourhood and exactly the right place to find some sweet solace in the daily grind. The London offspring of the Stockholm chain, Fabrique bakery is located in Hoxton and has also opened a second branch in Covent Garden. All products are baked according to traditional methods which require, above all, time. From the time it takes for the sourdough to trigger the key chemical reactions to the time the bread needs to cook to perfection in the Fabrique’s stone oven. The result is a timelessly good bread. Not to mention the finest Swedish cinnamon buns, which are a must-try.